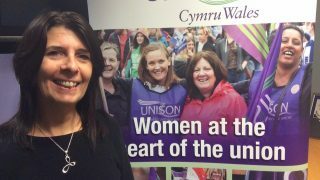 Unison’s over-riding objective behind the Charter is to establish a minimum baseline for the safety; quality and dignity of care by ensuring employment conditions support the recruitment and retention of a more stable workforce through more sustainable pay, conditions and training levels. The Council is confident that working practices for home carers in Blaenau Gwent are good and signing the Charter is a continued commitment going forward, as well as the appetite to improve if necessary. In Blaenau Gwent the Council is keen to promote home care as a good career path for people of all ages and is hoping to attract more people into the role. 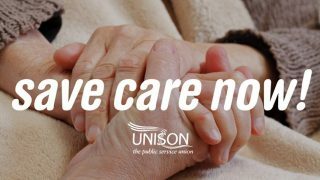 As well as adhering to the Charter for its direct employees, the Council also works closely with its commissioned domiciliary care providers to ensure that high quality care is provided. The Council is already committed to paying its employees the Foundation Living Wage. 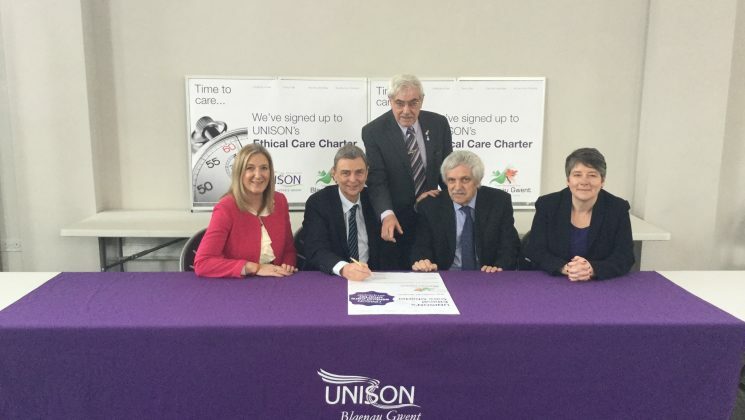 Dave Prentis, the General Secretary for Unison and Margaret Thomas, UNISON Cymru Wales Regional Secretary, visited the General Offices in Ebbw Vale today to sign the Charter with the Council’s Managing Director Michelle Morris; the Council’s Deputy Leader Cllr Garth Collier and Executive Member for Social Services Cllr John Mason.